Keringten Martin locks up back points on his way to a 9-5 win on the opening night at state. 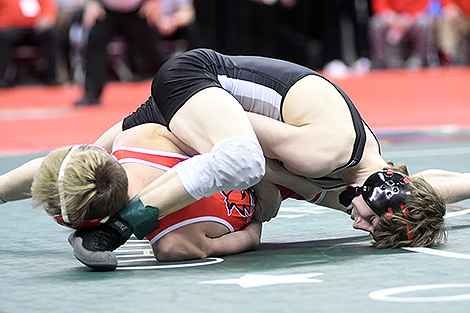 It was a short night for the three Covington wrestlers in the opening session of the 82nd Annual State Wrestling Individual Tournament on Thursday as all three Buccaneers won their opening matches. Sophomore 106 pounder Kellan Anderson (50-0) started things off in style for the Buccaneers with a dominating 15-0 technical fall victory over Jarrison Moore of Creston Norway (36-11). Anderson immediately scored on a takedown and then turned Moore to his back twice to build an 8-0 lead after one period of wrestling. He chose bottom to start the second and was awarded a penalty point as Moore locked his hands trying to prevent the Buccaneer wrestler from escaping. After a restart, Anderson quickly escaped and followed with a takedown and three back points for the 15-0 win. Anderson advances to tomorrow’s quarterfinals where he will face Gavin Owens of Pemberville Eastwood (45-2), a wrestler he defeated 5-0 at the Thunderbird Invitational at Lima Central Catholic. Sophomore 113 pounder Cael Vanderhorst (48-5) was equally impressive with a 13-2 victory over Bryce Maynard of Pemberville Eastwood (38-12). Vanderhorst scored a quick takedown for a 2-0 lead in the first and then pushed his lead to 6-0 with a reversal and two back points in the second frame. He then closed out the contest with two more takedowns and was awarded another point as Maynard was tagged for stalling. Vanderhorst advances to take on Caleb Edwards of Rootstown (44-4) in tomorrow’s quarterfinals. 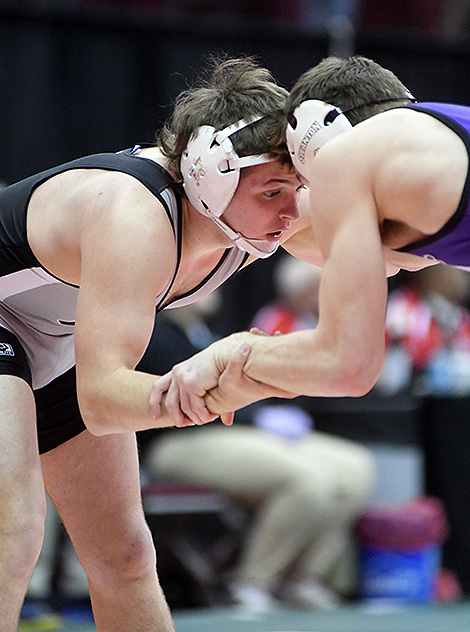 Senior 152 pounder Keringten Martin had a familiar foe in his opening match as he took on Ryan Marvin of Swanton (41-5), a returning state placer from a year ago. Marvin scored first on a takedown, but Martin was able to quickly escape to cut the deficit to 2-1 at the end of one. Martin then surrendered an escape point to Marvin to start the second, but quickly turned the momentum with a takedown of his own to tie the score at 3-3. 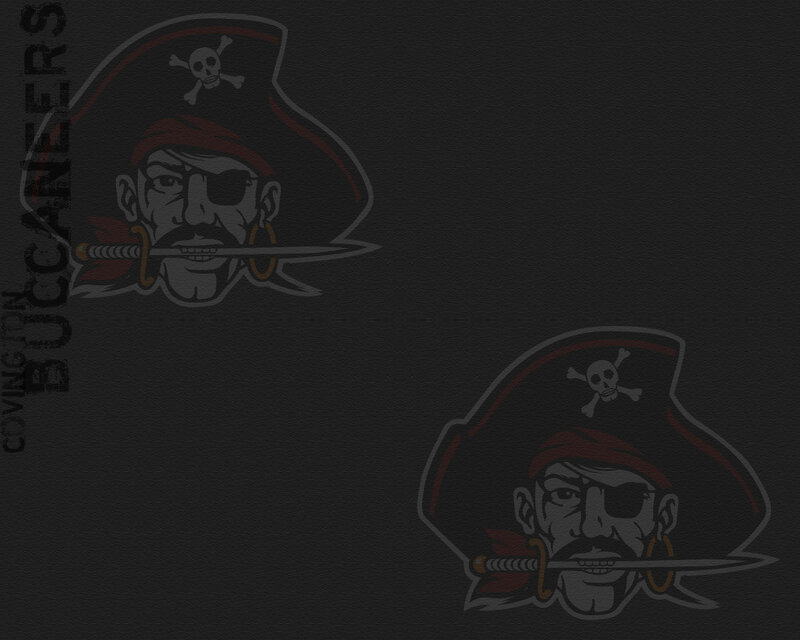 But Martin wasn’t able to hold Marvin and gave up an escape point as the second period came to a close with the Buccaneer wrestler trailing 4-3. Martin chose bottom to start the third and quickly tied the match with an escape. He then shot in on a double-leg and capitalized on an opportunity by turning Marvin to his back for a five-point move. With a 9-4 lead, Martin elected to surrender an escape so he could control the remainder of the match from his feet. And as the time expired, Martin had his hand raised with a 9-5 win. 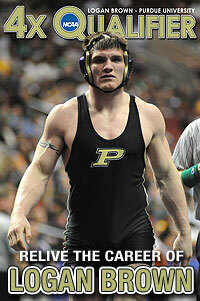 This sets up a quarterfinal matchup against Nick Skye of Mogodore (48-8). Eric Vanderhorst is pleased with how well his wrestlers performed. And with a short night, Vanderhorst is looking forward to enjoying some relaxing time at the hotel. Thanks to a short night. Kellan Anderson turns his opponent to his back for a 15-0 win. Keringten Martin works for control during the first day of the state wrestling tournament in Columbus.